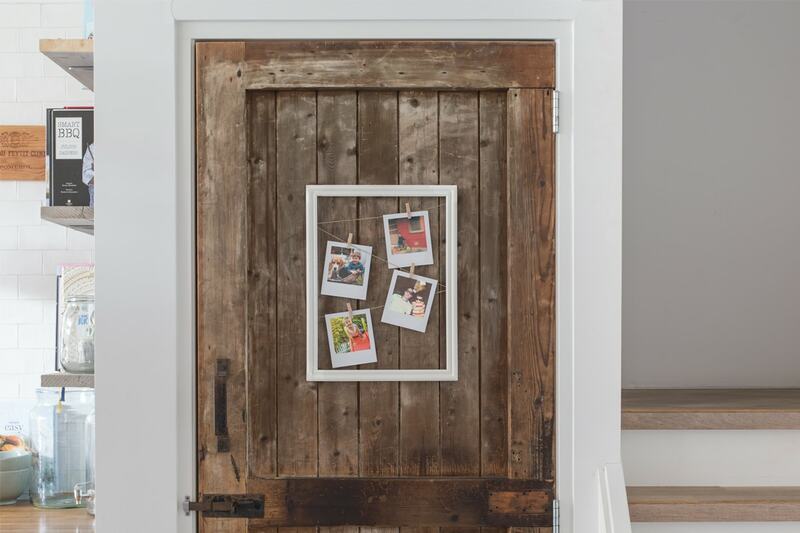 Hang your wall art and prints like an interiors expert with the help of our creative tips. Hanging wall art and prints in your home gives it a new lease of life and gives your space some personality. 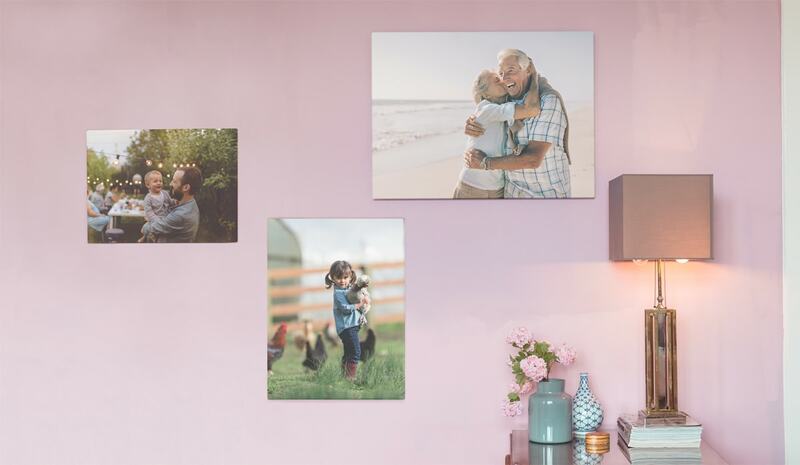 We’ve come up with 7 creative tips which are easy to replicate at home to make your wall art and photo prints look even better on your wall. 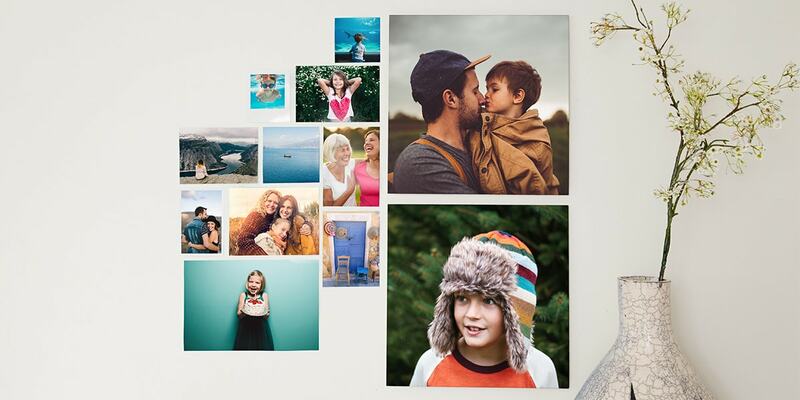 From collages to unexpected props, we’ve got all the tips you need to make your wall art and prints look their best. Plus, all our wall art comes with an easy-to-use hanging system making it easier than ever to display. Don’t stick with one size for your wall art. Use different sizes to create a dynamic display. Position the biggest one in the middle so that it acts as an anchor for the photo wall and you can build out from that, adding smaller pieces over time. When it comes to wall art, it’s better to stick to the hanging system that is included with it but for print enlargements you can play around with the display. 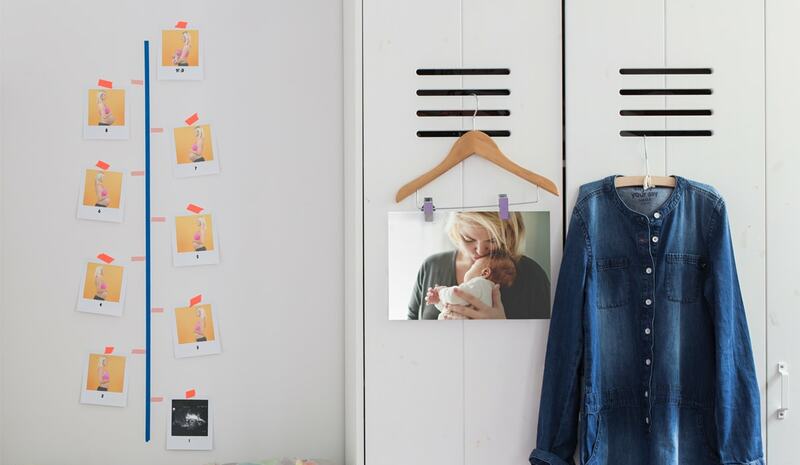 Use pegs to hang up some photo prints and string it across your wall. We don’t mean shoving them in your wardrobe, but get creative with poles and ropes. You can hang a rope across the length of your room and then hang the wall art and prints off it. You can do the same thing with a pole or even a piece of driftwood. 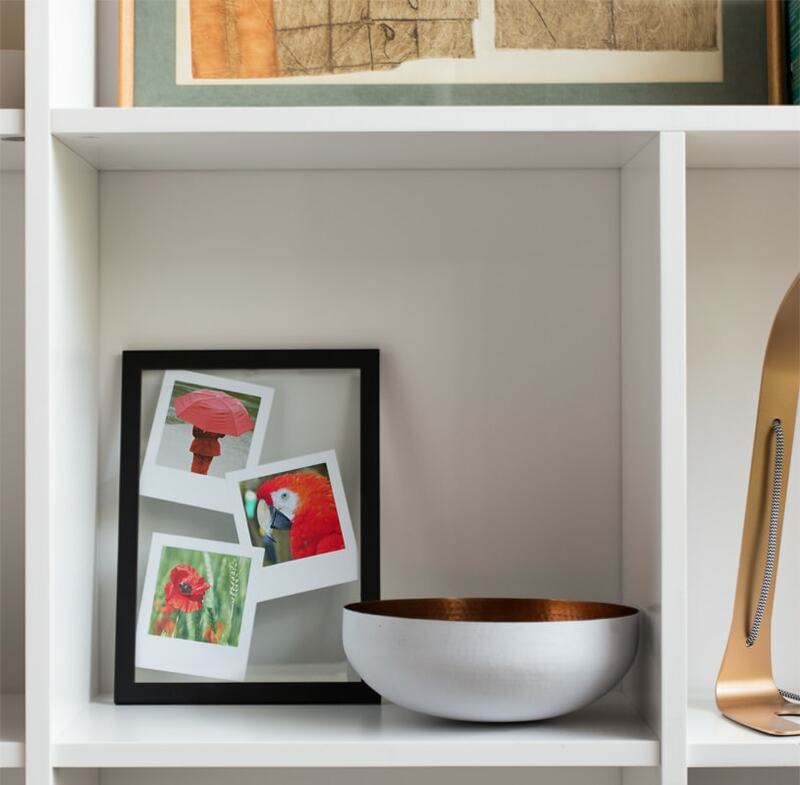 As much as we like some minimal living spaces, we think that when it comes to displaying your favourite moments, more is definitely more. 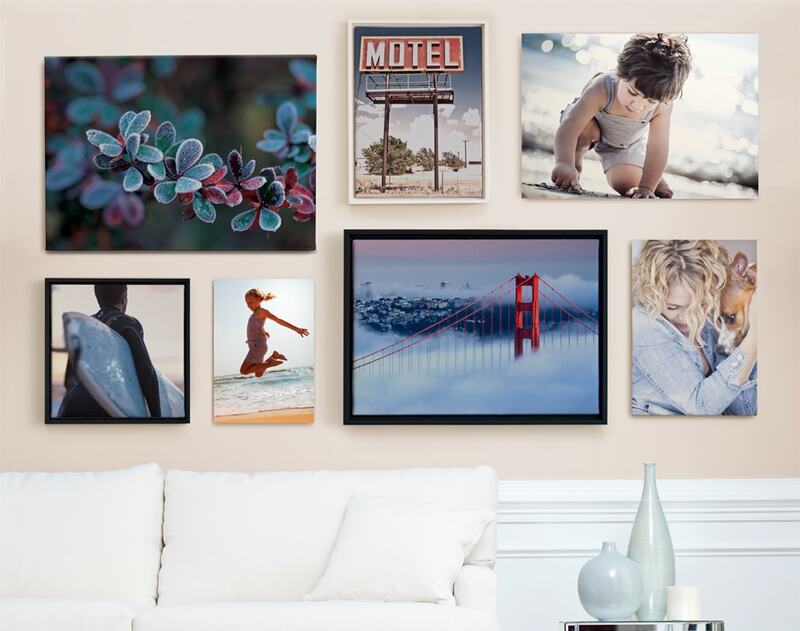 Print some different wall art and prints, some as single photos and some could even be collages so you can show off even more photos. When you research hanging wall art you’ll find advice about hanging it in a certain way and displaying it neatly. But we say, there’s no need to stick to the rules. Choose a chaotic looking grid formation and just go with it. It will make your home look alive. 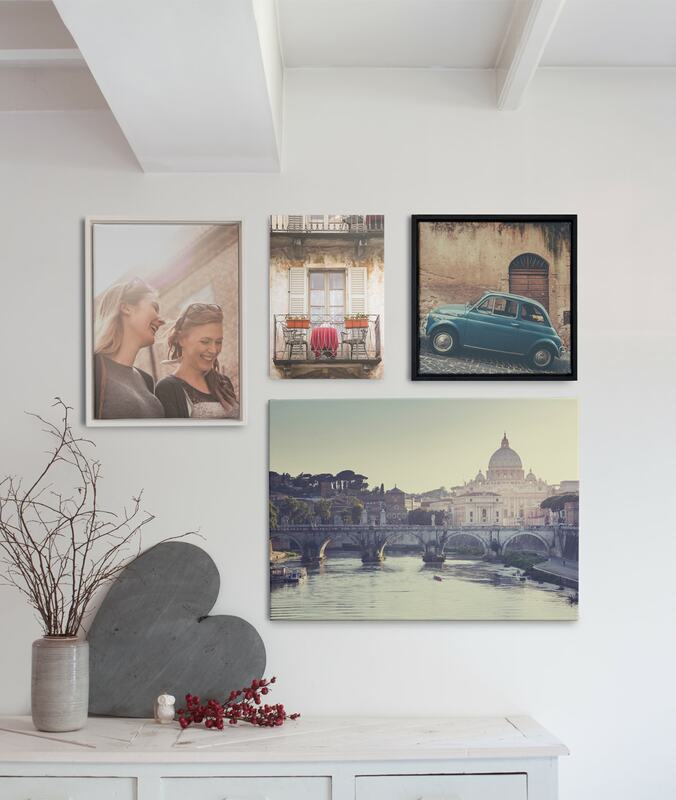 Our canvas wall art is available with black or white frames to make your photos really stand out but you can also add your own frames. 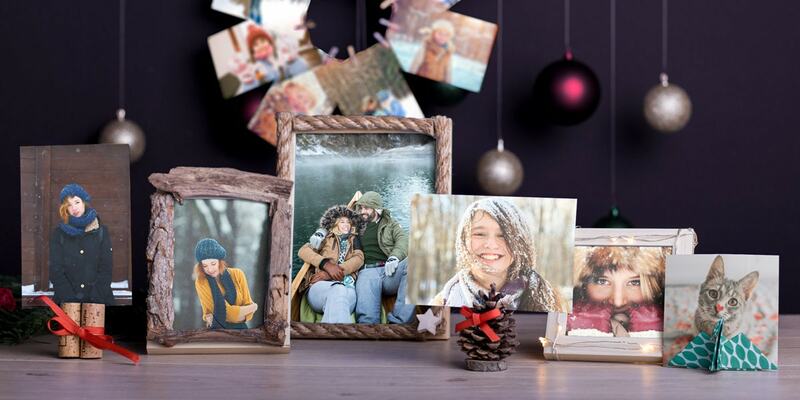 If you don’t like framing photos, try using wash tape on the walls to make DIY photo frames. Use a shelf and stack wall art on it overlapping one another. This has a nonchalant vibe that is perfect in family homes. So you’ve got the tips, now you just need to choose your wall art. 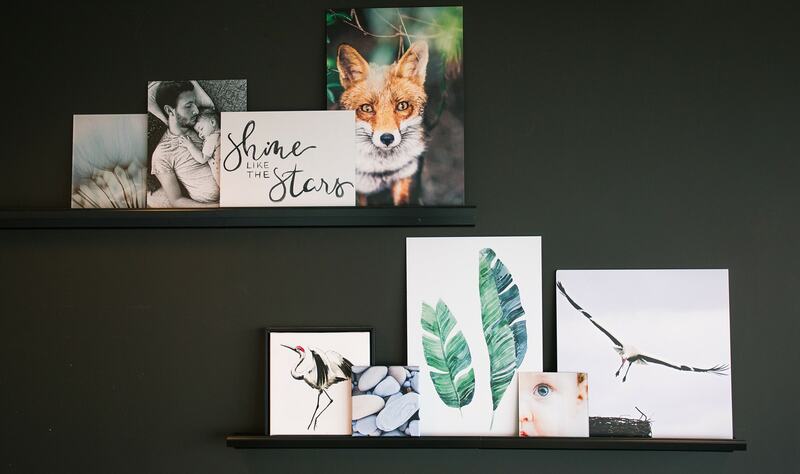 Have you created a striking wall art display? 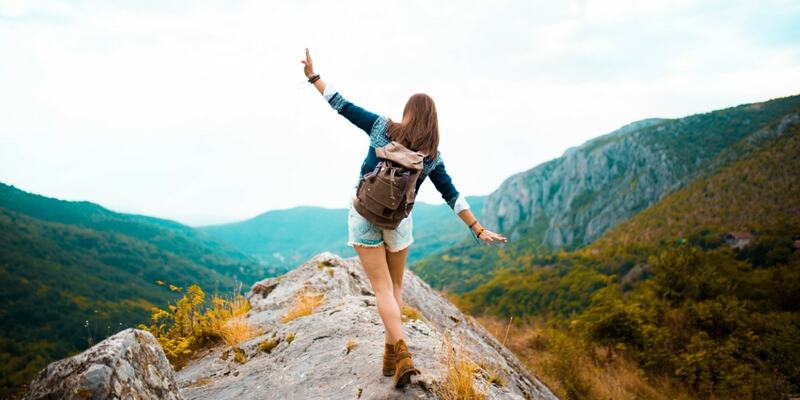 Share your photos with us using the #bonusprint hashtag so we can see what you’ve been creating. If you want to inspire friends and family with these tips too, then share it on social media using the icons below.